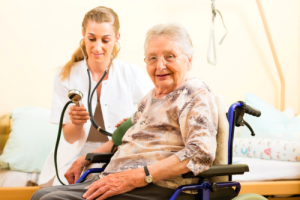 Our licensed and clinically trained nurses deliver a wide range of in-home medical services. When dealing with certain health conditions, you might already be needing professional care from healthcare experts. Your health is primarily the fundamental foundation of your well-being. Individuals who are in pristine condition are less likely to embrace negative thoughts in life. That is why our skilled nurses at MHN My Home Nurses LLC come into place – to support, treat, rehabilitate, diagnose, and provide hospital-like care to our patients in need of medical assistance. Our nurses are given the responsibility to monitor the progress of the patient, evaluate, and record data to be presented to your physician. They keep connected with other team members, such as Certified Nursing Assistants and personal care providers to advise them on what actions to take. If you have questions, feel free to contact us at 708-801-8662. For further requests or suggestions, you are free to send us a message online.